Most application teams are content to only monitor their infrastructure. If the servers are up, everything must be fine. Recent surveys found that only 26% of application teams will proactively examine user experience in production. In fact, 72% completely lack curiosity and first learn about User Experience issues and poor application performance through user complaints at the help desk. However, the problem comes when application performance impacts your user’s engagement. They may not complain; but their efficiency is impacted and they may just take their business somewhere else which is reflected in business metrics. As such, lack of visibility into the enterprise application performance costs millions and directly impacts business revenues and efficiency. 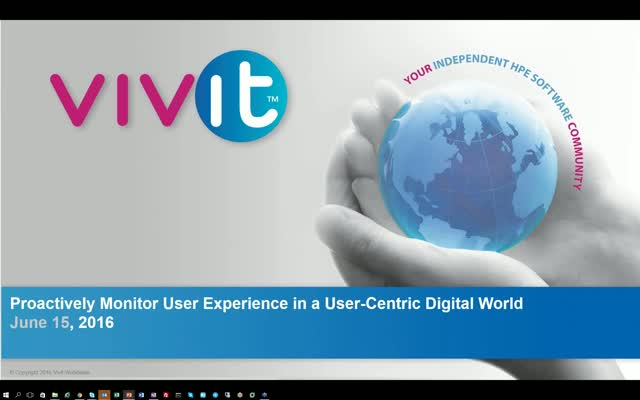 Join us for Part 2 of our Application Visibility with Application Performance Management (APM) Webinar Series to learn how HPE APM enables visibility into your User Experience and alerts you when applications are performing poorly and before users are impacted.